Silent letters cryptolist. 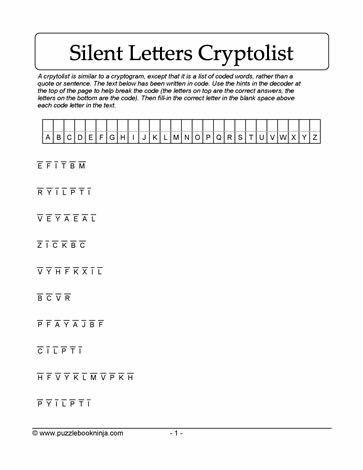 This challenging silent letters cryptolist engages students' problem solving skills as they decrypt the letter combinations based on understanding of silent letters, word construction and word patterns. Great for learners in homeschooling environment and students in middle grades 4,5,6 classrooms, challenge their understanding of silent letters by downloading this printable puzzle to solve.